Transition Technologies provides educational software solutions that enable teachers, learners, and businesses to save time, gain critical insights, and improve student outcomes through data-driven decisions. We subscribe to the idea of Learning for Understanding, Life Long Learning and passionately provide Learning Management Systems to educators and businesses globally. As digital imitation of real life processes and environments, simulations enable learners to acquire skills that would otherwise be out of their reach or extremely or risky. Skills training through VR. We provide digital and interactive ‘walk-throughs’ within 3D landscapes and models, as well as VR applications for Google Cardboard and Ocullus Rift etc. 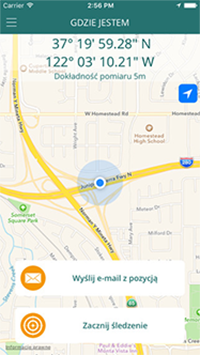 On-the-go educational mobile applications that yield the power of geolocation, and real-time peer-to-peer interaction. In distance and blended education, MOOCs (Massive Open Online Courses) provide access to educational resources such as filmed lectures, readings, problem sets and simulations to unlimited number of learners. We assist educators in every step of this learning management system creation. In human-computer interactive educational setup, adaptive learning is a system that modifies the presentation of material in response to student performance. Knowledge deepens not only through reading and listening, but mostly through creating and interacting with the learning material, constructing models of material acquired and iterations. 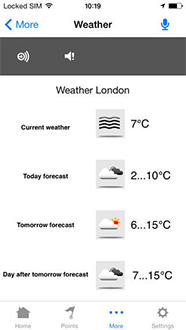 Our augmented reality apps use overlay graphics combined with real-world surroundings’ sensors to help students learn e.g. robotics. Name It Tame It, is meant as application of neuroscience in the daily life, school, workplace and therapeutic environment. 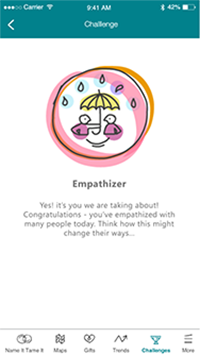 Name It Tame It helps users to reflect and learn about emotional states and through this activity to self-regulate the nervous system. 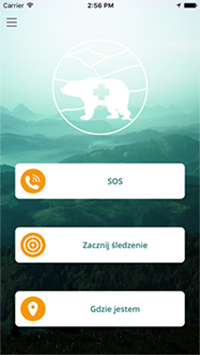 This application essentially shortens the time required for a mountain rescuer to reach a person in need. 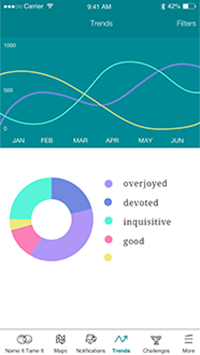 It’s educational value lies in thepath-tracking as well as the mobile guide sections. 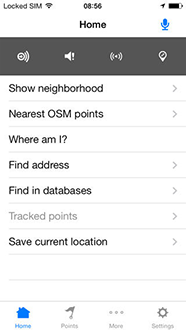 It also provides a checklist module that helps users to prepare for hiking. It has been developed in co-operation with mountain rescuers. A mobile guide in the symbolic journey through the most significant venues of what used to be The Warsaw Ghetto. The application is rich in text, visual and audio content and educates visitors about the former pre-war functions of venues and their present contexts. The application has been developed for anyone who values their time and seeks convenience in making decisions. It is available in English, German and Hebrew. Seeing Assistant is a group of assistants for every day tasks, designed for mobile devices on iOS and Android platform. Thanks to them you will perform your daily activities faster, easier and more accurately.Thanks to voice commands this applications is really easy and intuitive in usage, and you will be able to use its functions fully right away. All those functionalities are prepared, so you can have access to the various improvements with the phone, which you always carry with you anyway. We believe that the time saved by Seeing Assistant one could spend to explore world that surrounds you. Awards and recommendations by institutions such as Polish Blind Associations, assures us that our applications meet their functions to the highest possible level. This battle game is a simulation of five historical battles that took place during the World War II: Monte Cassino, Stalingrad, Bory Tucholskie, Narvik and Warsaw. 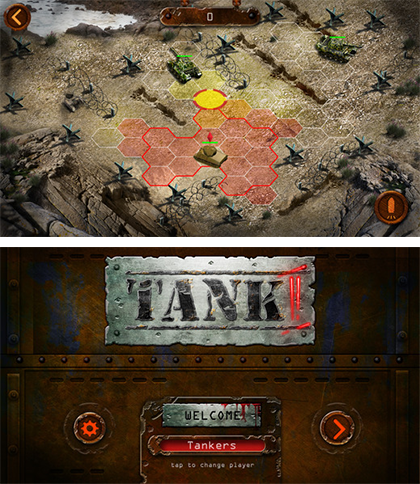 The player chooses to fight with one of nine tank models, each with different capabilities and to develop his own strategy. Rich audio components and beautiful graphics make up a very suggestive educational environment. At Transition Technologies, we have been creating original IT systems, state-of-the-art technological solutions and IT services for more than twenty five years. Our products are dedicated to selected market sectors: the power and gas sectors, the manufacturing industry, the life sciences sector and education. Our systems are based on complex, technologically-advanced works encompassing key aspects of business operations, such as trade in power and gas, production optimization and new product development.